Joe is a Registered Principal with LPL Financial and works closely with the rest of the Hanscom Investment Services team performing the day-to-day management and oversight of the program. He has been in the investment arena for over thirty years, twenty-one of them with LPL Financial. Joe holds the following securities registrations with LPL Financial: Series 24 (General Securities Principle), Series 53 (Municipal Principle), Series 7 (General Securities), Series 63 (All States), Series 65 (Investment Advisor), and the Series 3 (Commodities). Additionally, he holds licenses for Life, Health, and Disability insurances, as well as for Variable Annuities. Among other professional and charitable affiliations, Joe was a founder and served for several years as the Chairman of the Board of the Main Street Journal newspaper in Marlborough, Ma. 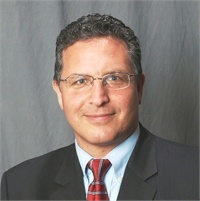 In addition, he served for years on the Board of Directors for the Boys and Girls Club of Greater Marlborough, Inc. Also of note is his past service on the Board of Directors for St. Mary’s Credit Union, and he continues as a member of the Asset Liability Committee charged with overseeing the safety and soundness of the credit union’s balance sheet. Joe also was elected to a four-year term on the Marlborough School Committee, and was subsequently elected to the Marlborough City Council and is currently serving in his sixth year.